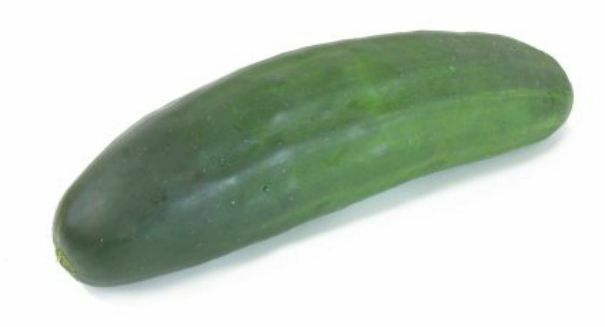 Salmonella in 27 states causes massive cucumber recall — is your state affected? 285 people have gotten sick and a San Diego women has died so far. A massive recall has begun after a salmonella outbreak has sicked 285 people in 27 states and killed a woman in San Diego. Andrew & Williamson Fresh Produce, which is based out of San Diego, has voluntarily recalled its “Limited Edition” cucumbers grown in Mexico, according to an Associated Press report. The move comes after a 99-year-old woman died from salmonella, and nearly 300 others have come down with the illness between July 3 and Aug. 17. Authorities have traced the source of the outbreak and believe it came from that particular brand of cucumbers from that company. About half of the illnesses affected children under 18. Here are the affected states: Alaska; Arizona; Arkansas; California; Colorado; Florida; Idaho; Illinois; Kansas; Kentucky; Louisiana; Minnesota; Mississippi; Montana; Nevada; New Jersey; New Mexico; Oklahoma; Oregon; South Carolina; Texas; and Utah. The company said it was working with health officials to determine if these cucumbers were in fact that cause of the outbreak. They said they made the move out of an abundance of caution. Dave Murray, a partner in the company, told the AP via phone according to the report that safety and health were his “highest priority,” and that the company has invested a huge amount of money in making sure food safety systems are effective. Arizona has been the hardest hit, with 66 cases coming from six counties in the state, and about 75 percent of them in children ages 17 and under. About 49 of those cases are in Maricopa County. Some have been hospitalized, but no deaths have been reported in the state yet. Salmonellosis is a type of food poisoning that is cause dby the bacterium known as Salmonella enterica. It is more common in the summer and can be found on many types of food, ranging from produce to raw meat. Cooking food is the best way to avoid Salmonella.